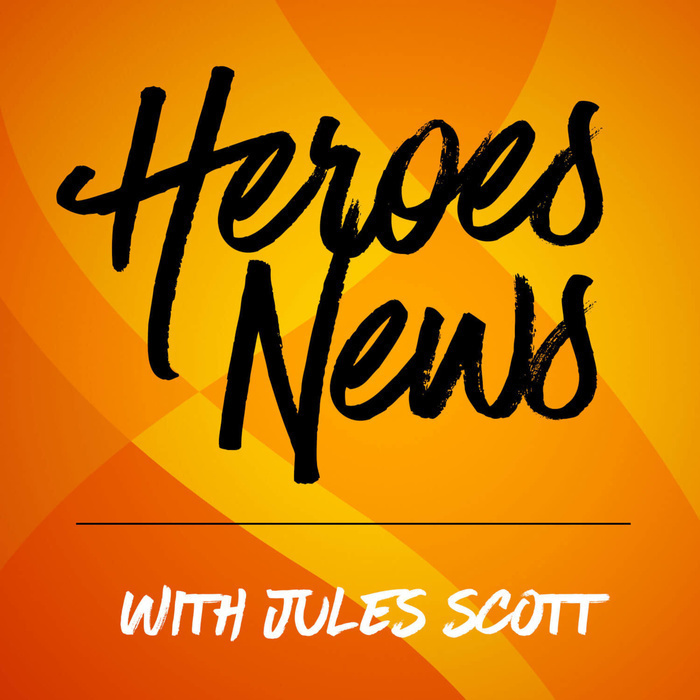 In this final episode of HeroesNews, Jules Scott shares a final goodbye message to listeners. Thank you for the past year, Heroes community! Interview: In her first-ever podcast interview, Bethany Hulse, aka Lashes, shares her journey from streamer to Blizzard employee, gives us some of her favorite memories from moments shared with members of the Heroes community, offers her advice on what you need most to build your career in gaming, and talks about what's next for her after her position was eliminated in February. You can find all previous episodes of Heroes News on HeroesHearth.com, your Heroes social network and toolbox, as well as on iTunes, Google Play, Pocketcasts, TuneIn, and Spotify If you like this content and would like to support the many things that HeroesHearth does, please help them out on Patreon! In this episode, the Toasty and Gladman Invitational's lineups are here, TESPA is still in for competitive Heroes, and an interview with one of the hardest working casters in HGC, the man with the golden voice, it's JHow! In this episode, Fight Night's lineup for this Friday, and an interview with the Twitch streamer and GM-level player who initiated the charge to create the Toasty and Gladman Invitational - you'll get to know Leonblack! In this episode, a big ol' balance patch is out, Fight Night is happening, and an interview with the co-owner and creative force of HeroesHearth... he's THE guy... it's workhorse! In this episode, community tournament news from HeroesHearth, Tempo Storm and Heroes Lounge, and an interview with the Twitch content creator with the big smile and a love of sharks, it's Tatskichu! In this episode, an interview with Twitch content creator and the savagest of LiLi mains: it's Tegank! In this episode, Imperius is our 85th hero, a few PTR tweaks and balances, and an interview with one of the Zord Lords of the Storm, it's TBK! In this episode, a new balance patch comes right before Christmas, some thoughts and insights on the HGC news from last week, and an interview with the lovely and talented Twitch content creator with a big laugh and killer Artanis moves, it's Yunalescka! In this episode, the XP changes have gone live with a few tweaks, the latest in HGC roster comings and goings, and an interview with HeroesHearth's newest content partner and the leading expert on bagels in the Hots community, it's Kagiiri! In this episode, the Dark Lady gets a rework again, XP changes are not the hot, and an interview with the lady with the best laugh and the biggest heart in the streamer community... it's Starbee! In this episode, a new balance patch, The Call of the Nexus is here, we're still waiting for HGC, and an interview with Twitch content creator Vipey, who gives the T on becoming the sassiest queen in HotS.